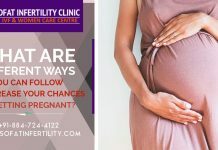 When we talk about infertility in men and women, a gynecologist may have to take a day to thoroughly exhaust all the details about this major problem today. Women, especially are the victims of fertility due to a fact that they easily acquire STDs, suffer from trauma, and many times unaware about the different sexual issues that can occur in them. PCOS has been identified as the leading cause of infertility today, but a few of women out there can stand and explain what PCOS are. The reason for PCOS is not direct as of now, but is widely suspected to be a genetically triggered disease plus due to hormonal imbalances. High insulin levels may also be a cause. A number of procedures can be performed like having an ultrasound to view the whole reproductive system. A proper PCOS management can also reduce the effects of PCOS. In the case of obesity, a woman is advised to cut down the weight. Regular exercises can help in this case and also in instances where a woman is not obese. Next articleIUI- an Assisted Reproductive Technique that can help you to conceive!